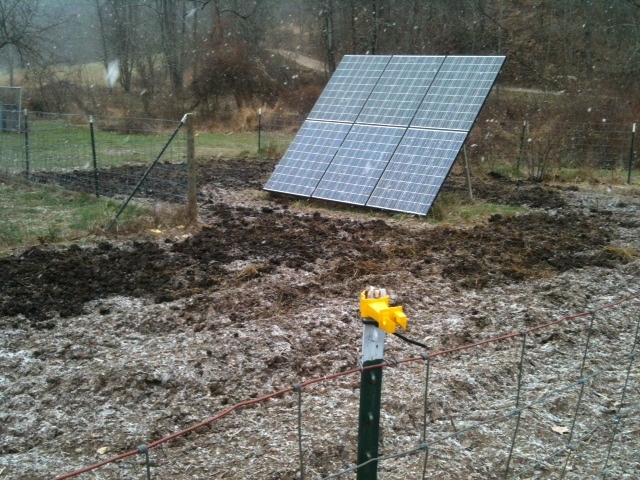 The date on the calendar may say its spring time, but we are already getting prepared for next winter. 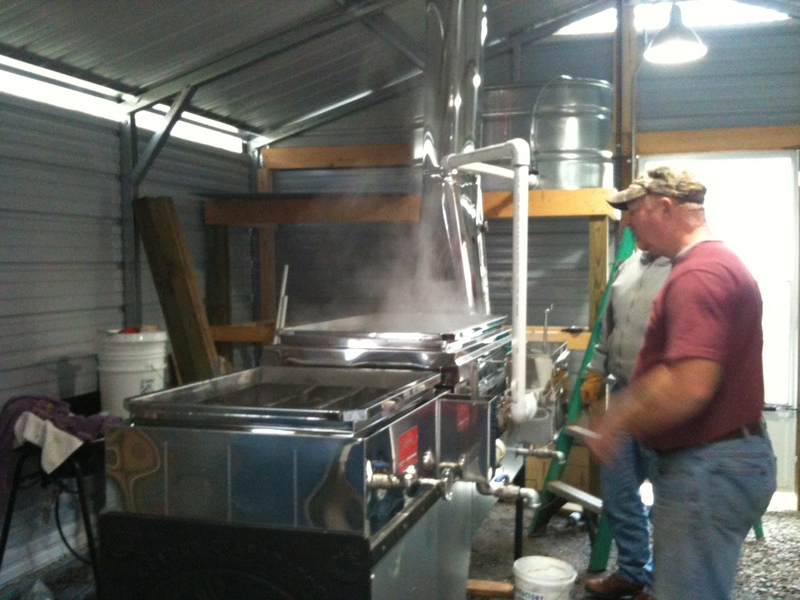 Our first year making maple syrup taught us that the evaporator is an insatiable beast when it comes to its favorite fuel. Wood. 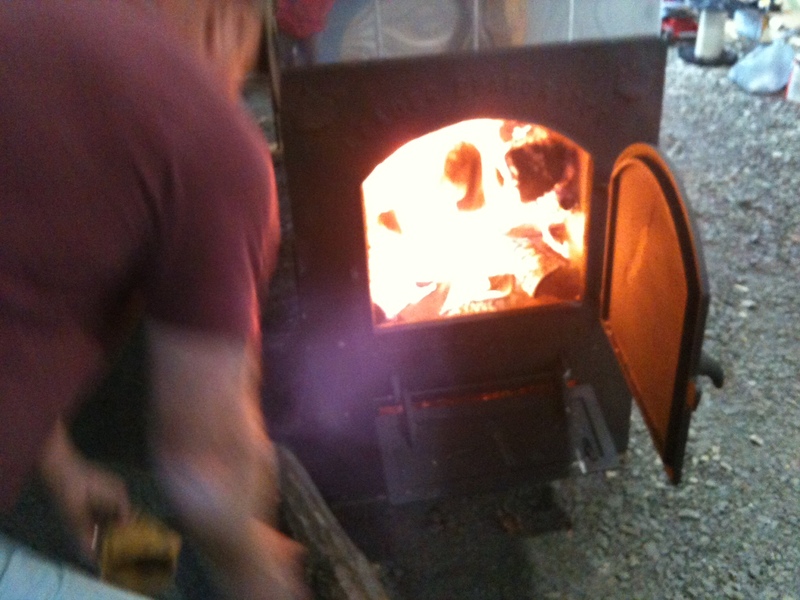 The furnace consumes the wood logs in the same manner a dog scarfs a chunk of steak and then looks for more. 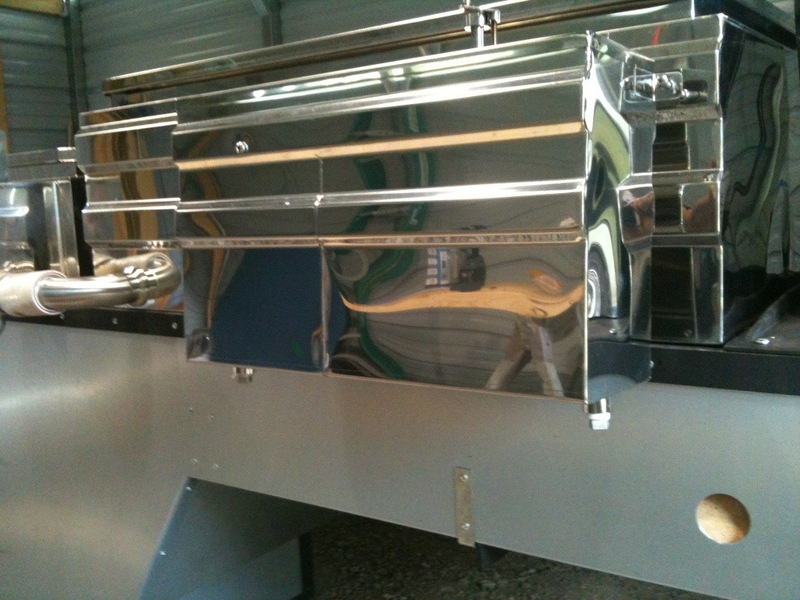 We hope to get about ten cords of wood stored and set aside for the evaporator. Our house is heated by a wood stove too, so we will need to cut another three to four cords for it. There is a stand of trees in our east pasture that we have wanted to clear out, so that is where we have begun our wood harvest. Sonny fell one tree yesterday and then another today. 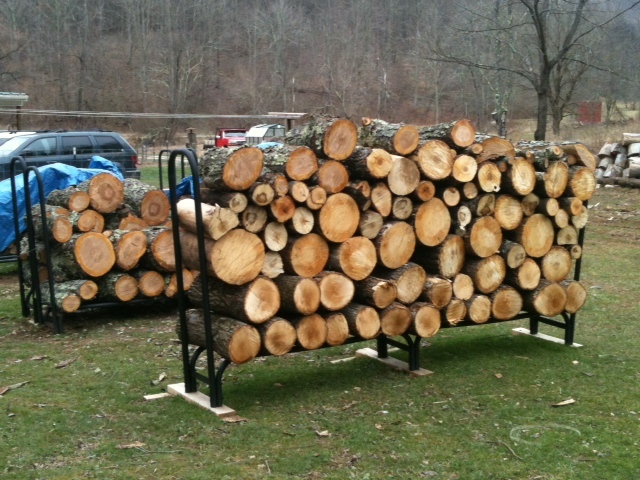 We cut the trunks up into rounds and have temporarily stacked them on the wood racks. 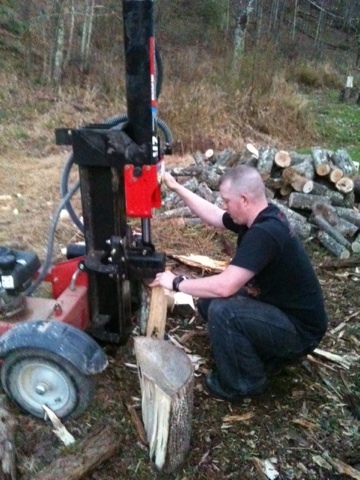 Later we will use the log splitter to split them and then replace them in the racks to dry over the summer. They should be ready to use by next winter. Wood rounds waiting to be split. 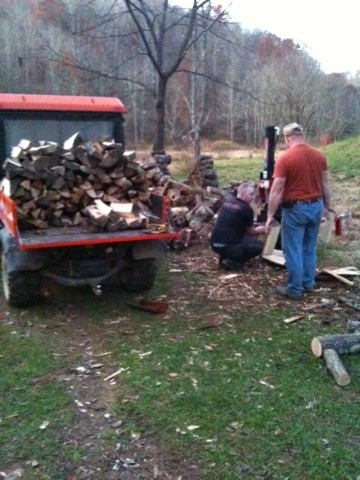 The weather is still cool and perfect for wood cutting. Better to get the majority of it done now before the temps rise. Its no fun cutting wood when its sweltering and the last thing you want to think about is fire. Thats homestead life. You are always preparing for the season ahead. You are currently browsing the archives for the Firewood category.